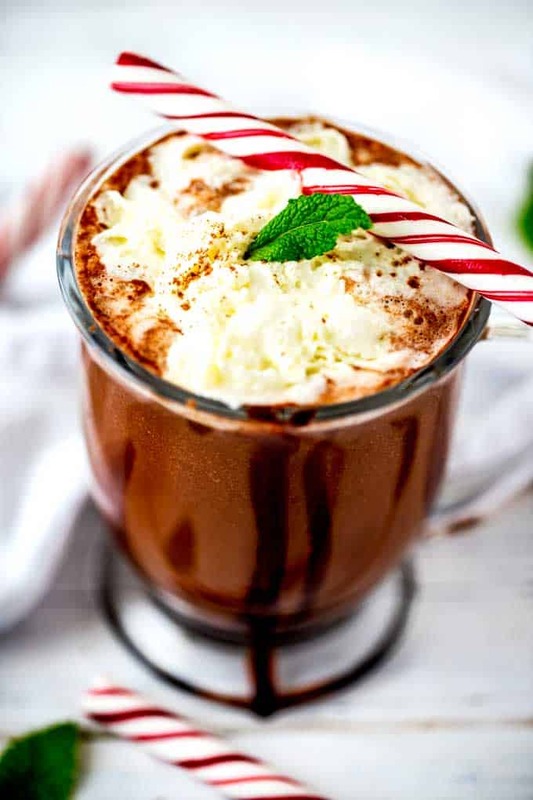 This easy Dairy Free Crock Pot Hot Chocolate is the best hot cocoa you have ever had! It is so simple to make and perfect for parties. Gluten Free, Dairy Free, and Vegan, this Slow Cooker Hot Chocolate is a crowd pleaser! A special thanks to Divine Chocolate for sending me chocolate as part of this years #Choctoberfest. 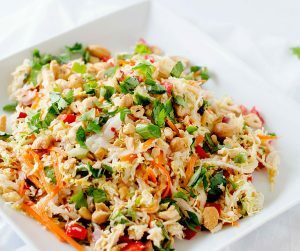 Be sure to check out the other great recipes below. I think that one reason I love the holidays so much as an adult is that my Mom always did such a good job of making them special when I was little. And we always had hot chocolate and candy canes on hand. I can still remember the little packets with the tiny marshmallows in them. Though I try to keep up with many of the things my Mom did, now that I’m the mom I’ve developed my own way of doing things. I am not above using packaged hot cocoa (one of my son’s drinks a cup of Salted Caramel Hot Cocoa while I have coffee every morning once the weather cools), I also like to go the homemade route when I have the time. And guys, we aren’t talking about much time here. This Crock Pot Hot Chocolate is not one of those “you still gotta prep it” Crock Pot Recipes. 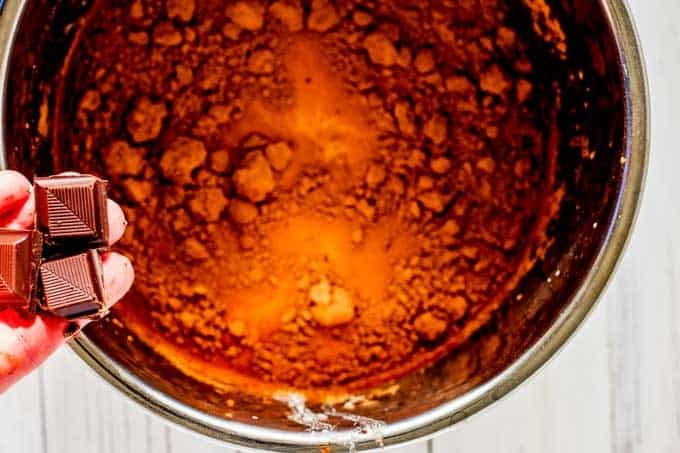 This is a dump and press on recipe! The only work you have to do is stir it every 30 minutes or so. (And even that isn’t completely necessary. Just make sure you give it a good stir at the end if you need to be away while you make this. 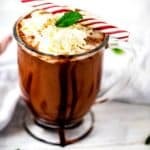 Not only is this Slow Cooker Hot Chocolate easy to make, but it is also quite possibly the best hot chocolate you have ever tasted! And did I mention that it is dairy-free and vegan? I made it with Divine Chocolate semi-sweet chocolate and all of their baking bars are vegan. (They are actually Vegan Society Certified.) This makes it perfect for serving to a crowd, since you never know when you are going to have guests that either want or need to avoid dairy. Divine Chocolate is the only Fairtrade chocolate company in the world owned by cocoa farmers. The farmers that grow the cocoa own 44% of the company! 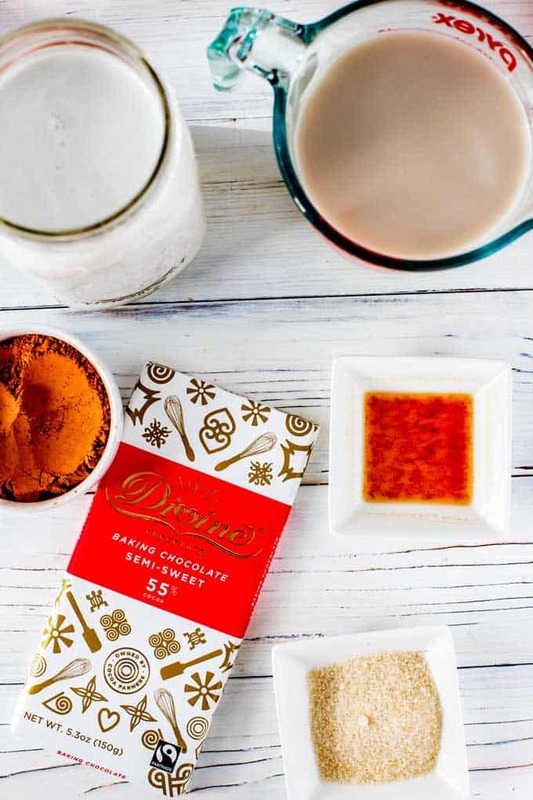 Divine Chocolate is made of natural ingredients with no artifical flavors, palm oil or soy. It is 100% pure cocoa butter. You can check out their website and #MakeSomethingDivine. How Do You Make Hot Chocolate In a Slow Cooker? It could not be easier to make hot chocolate in your slow cooker. Dump all of the ingredients into your slow cooker. Cook on low for about 2 hours, stirring occasionally. How Do You Make Thick and Creamy Hot Chocolate? To make this hot chocolate thicker, reduce the cashew milk by 2 cups. Did you know that chocolate may actually make you smarter? A new report published in Frontiers of Nutrition that analyzed fourteen different studies found that brain function may get a jump from the antioxidants in cocoa. One studies participants showed improved working memories after consuming 773 mg of cocoa flavanols. In another study, the antioxidant compounds appeared to counteract cognitive impairment from a poor night’s sleep. 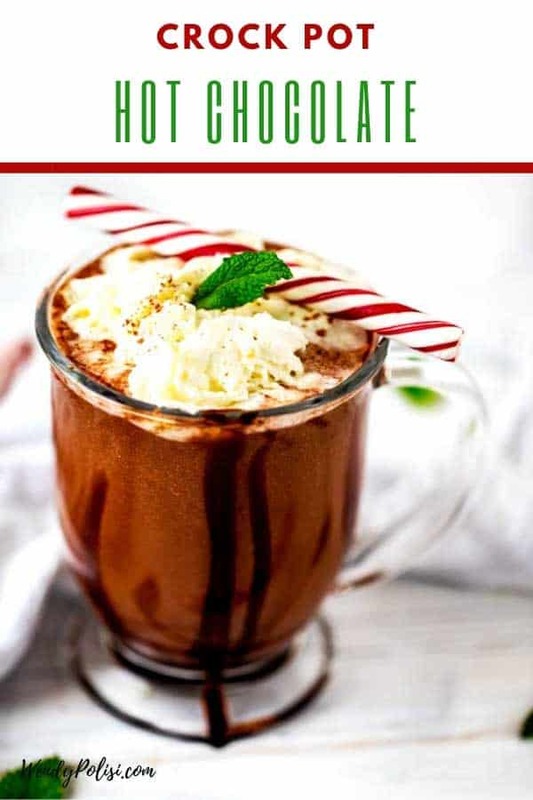 This easy Dairy Free Crock Pot Hot Chocolate is the best hot cocoa you have ever had! It is so simple to make and perfect for parties. Add cashew milk, coconut milk, cocoa powder, sugar, chocolate, vanilla extract and peppermint extract to the slow cooker. Cover and cook on low for 2 to 3 house, stirring occasionally. In place of the chocolate bar and peppermint extract, use mint chocolate. You can use 3 drops Peppermint Essential Oil in place of the peppermint extract. 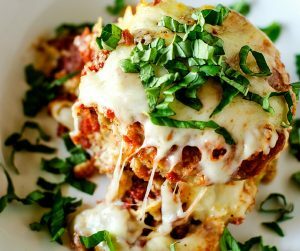 If you don't have a crock pot, you can make this on the stove top. To do this, warm 2 cups cashew milk, canned coconut milk, cocoa powder, and swerve sweetener in a saucepan, stirring frequently. Whisk in chocolate chips and stir until melted. Add vanilla extract and peppermint essential oil. 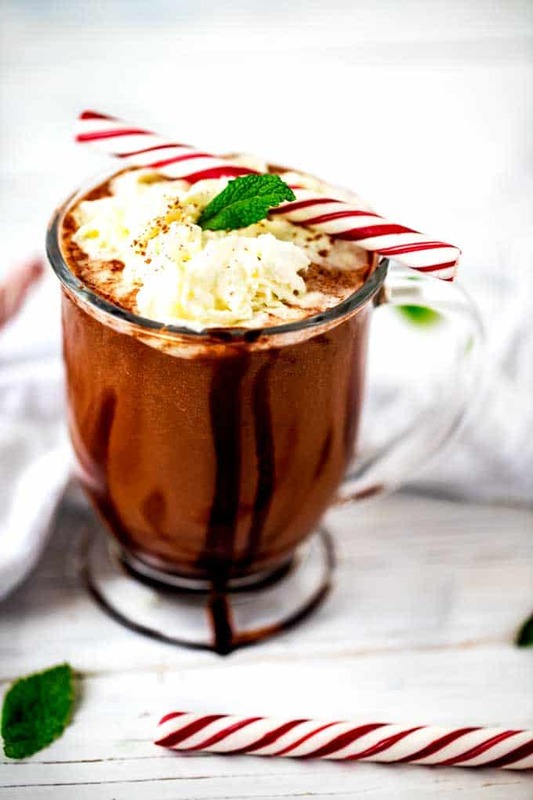 Ladle into mugs and garnish with whipped cream and peppermint sticks. Omit the peppermint extract and inside add 1 teaspoon ground cinnamon, 1/2 teaspoon ground cloves, and 1/2 teaspoon ground ginger for Spiced Hot Chocolate.